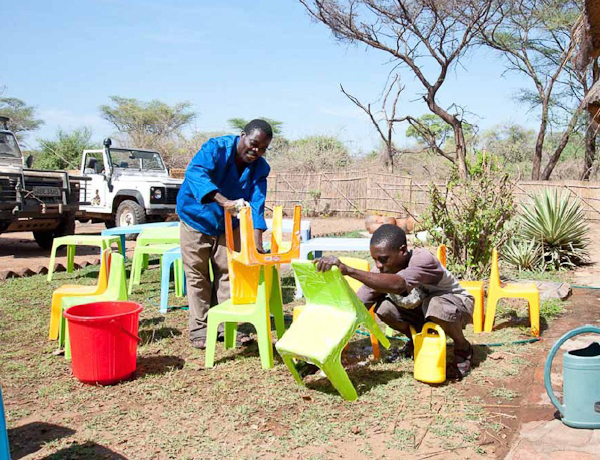 New furniture at Hanada Pre-School! 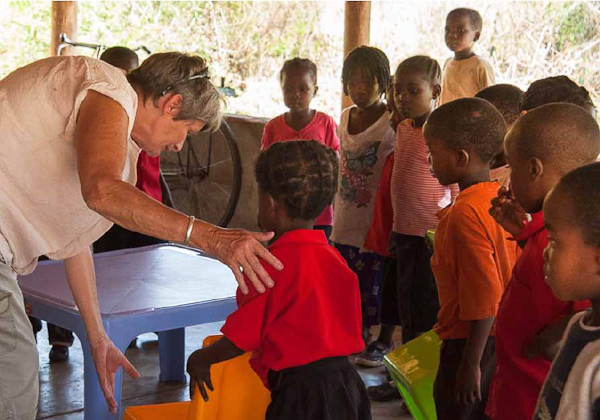 Helping Hanada Pre-School – by Project Luangwa. 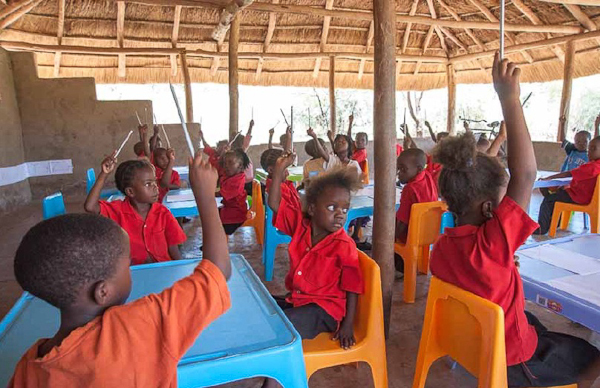 Hanada Pre-School is a small nursery school for orphans held in a thatched ‘chitenge’, near Mfuwe in South Luangwa, Zambia. 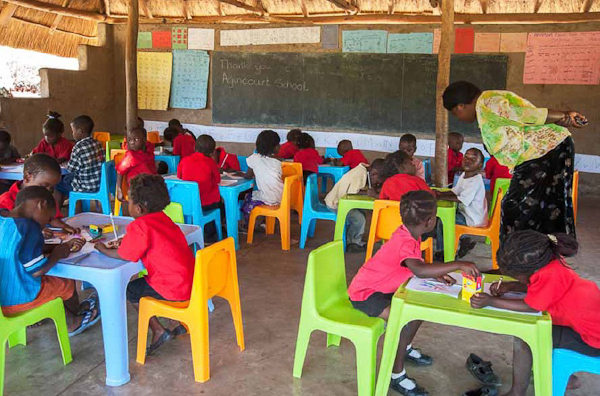 A ‘chitenge’ is the local name for a small open sided building with a thatched roof. 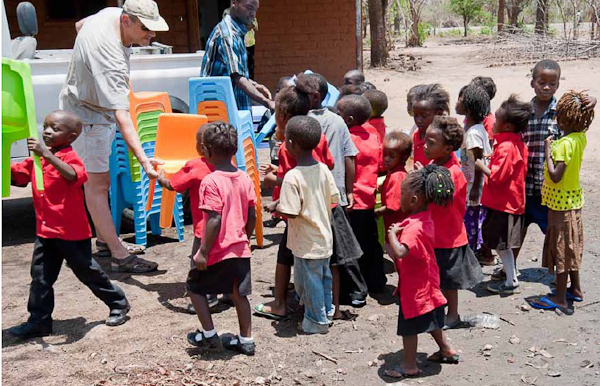 When Project Luangwa visited Hanada Pre-School earlier this year the children had no chairs or tables. 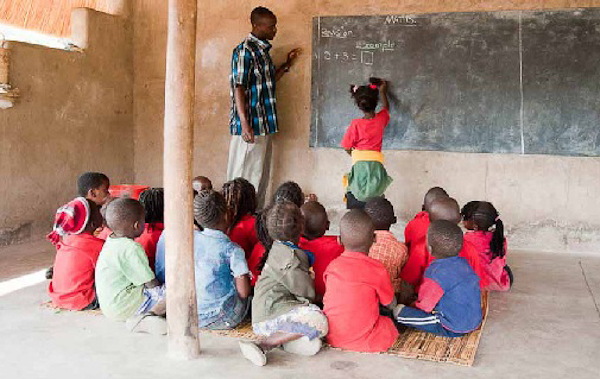 They sat on bamboo mats on the floor to do their lessons. So we decided to try and help. The classroom at Hanada has no walls the tables and chairs would have to be put away in a store each night and got out again in the morning before lessons could begin. 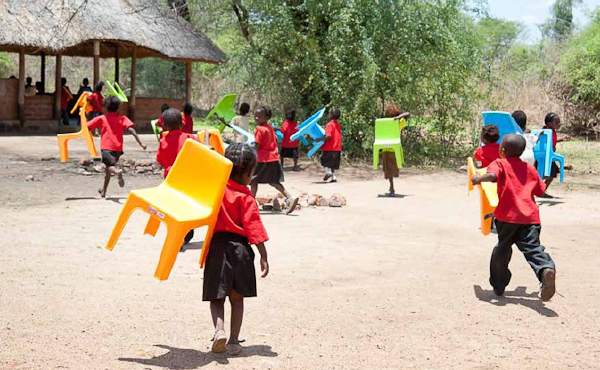 So we decided to buy plastic furniture that the pupils could easily carry. 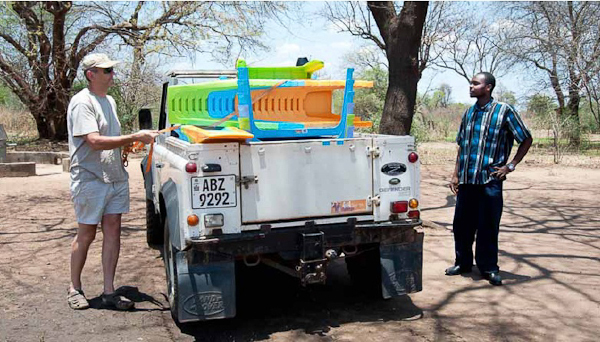 We went to Lusaka and bought lots of tables and chairs. 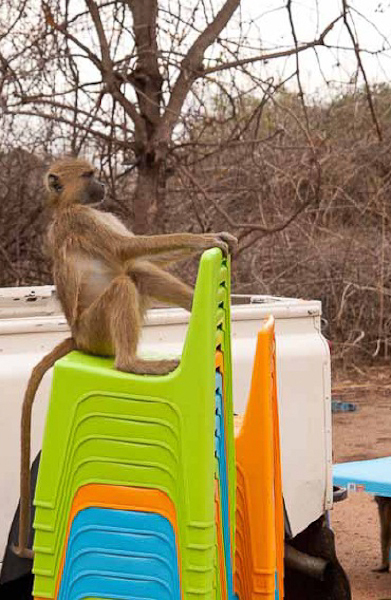 But when we got home and unloaded them the baboons who live in my garden thought that they would play on the chairs and tables and have lots of fun. 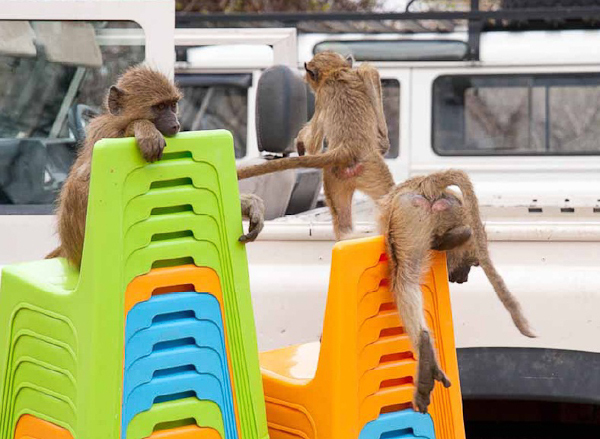 The baboons made the tables and chairs very dirty so everything had to be washed before we could take them to the children at Hanada. When everything is clean it is ready to deliver to Hanada. On Monday 5th November we took all the chairs and tables to Hanada. When the furniture arrives everyone came out of class to find out what’s going on. We unloaded all the furniture watched by the children. 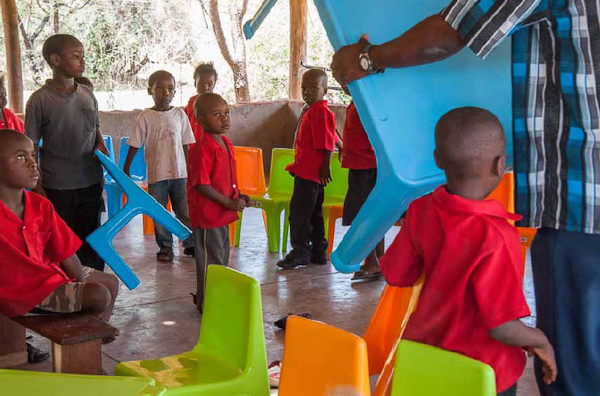 The tables and chairs had to be carried into the classroom and everyone wanted to help. Everyone carried a chair. The chairs were not heavy so even very small people could carry a chair. 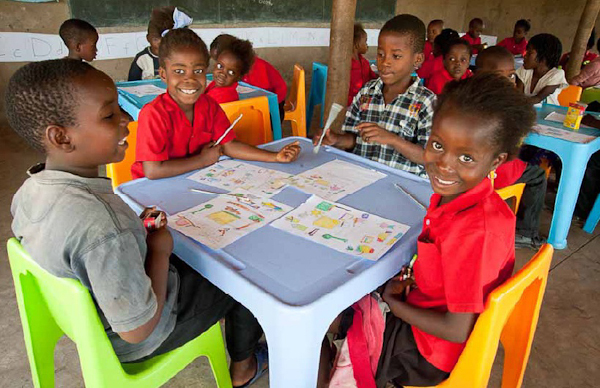 Some children ran very fast into the classroom with their chair. 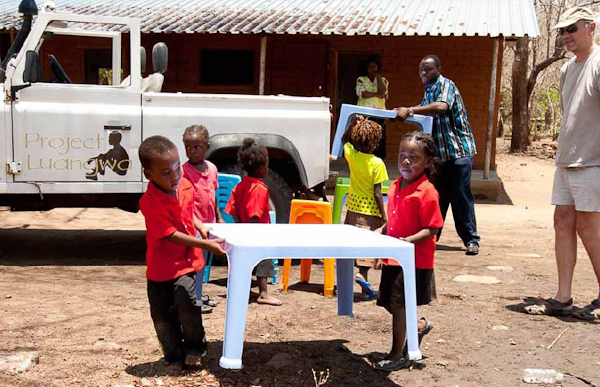 It took 2 pupils to carry a table and sometimes it took 3. In the classroom everyone helped arrange the tables and chairs. 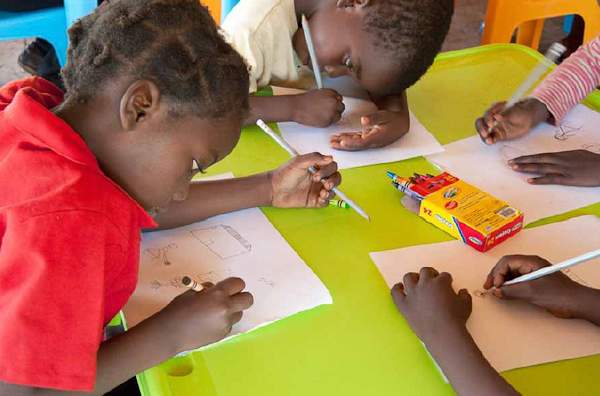 When all the children were sitting down they were given a pencil, some paper and some crayons so they could draw a picture. All the children drew a picture. 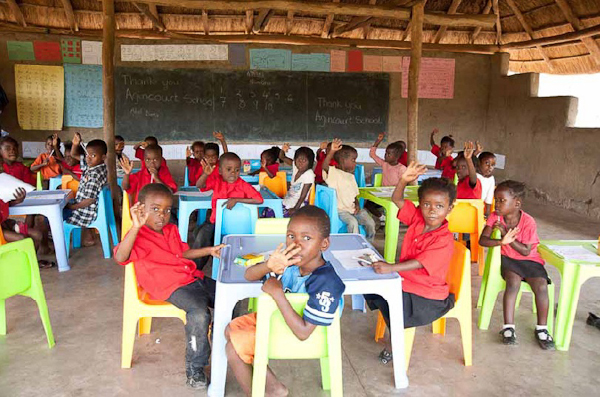 Thank you to the teachers and children of Agincourt School (UK) and to Zu McDermotwho all worked to raise funds for Hanada. 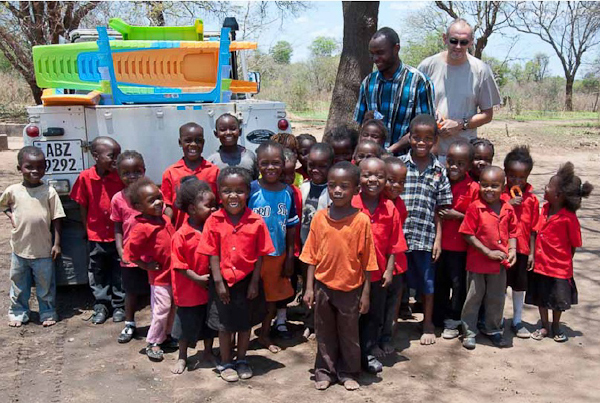 Learn more about this story and the rest of Project Luangwa’s achievements by clicking on the logo below.